The sprawling frame of Archaeopteryx is one of the most widely-recognized images from the world of paleontology, yet only 11 specimens of the iconic "first bird" (or "urvogel" in German) have been unearthed since the the species was first discovered in 1861. 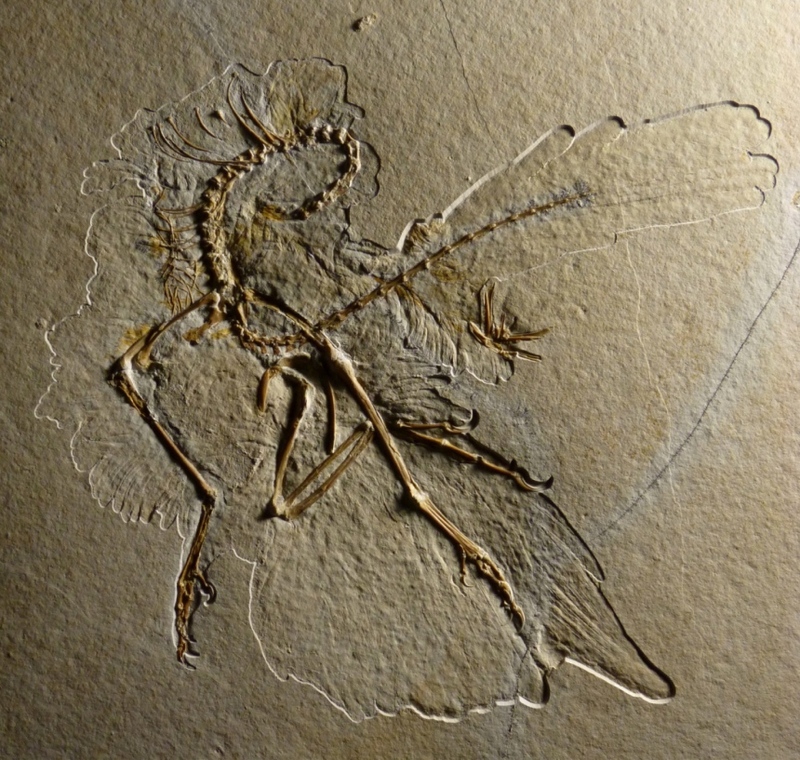 In the limestone quarries of Solnhofn, Bavaria, in 1861 was found the first fossil of Archaeopteryx lithographica. German palaeontologist Hermann von Meyer described it ( and named it) but it was owned by local physician Karl Haberlein, who sold it to the British Museum ( to Richard Owen) for £700. In 1863 Owen published his own description of the creature, based on the discovery of a single feather. The London specimen lacks a head but otherwise it preserved in superb detail including impressions of feathers. It appeared to be a Compsognathus with feathers - the missing link between dinosaurs and birds - but Owen, a definite anti-evolutionist, viewed it as a bird. 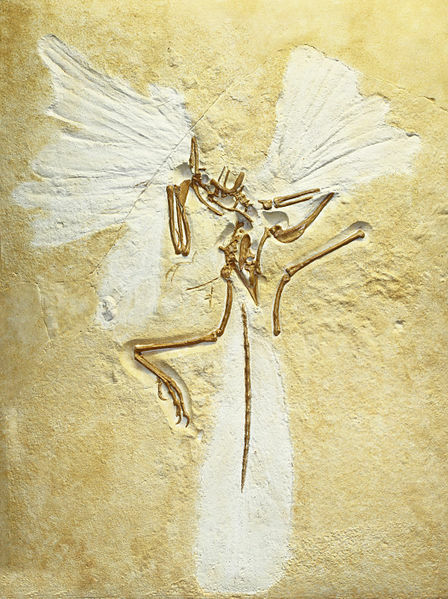 A second, and even better preserved specimen, was to be found in the same quarries in 1877 - the 'Berlin' Archaeopteryx. On October 19th 2011 scientists announced the discovery of another beautiful specimen, bringing the total number of Archaeopteryx specimens in existence to 11, although some of those are very incomplete. All have been found in Germany. The fossil appears to be one of the most complete and well-preserved examples of the 150-million-year-old dinosaur we've seen (save for the fact that this skeleton is missing a head), and even includes some very clear impressions of feathers.